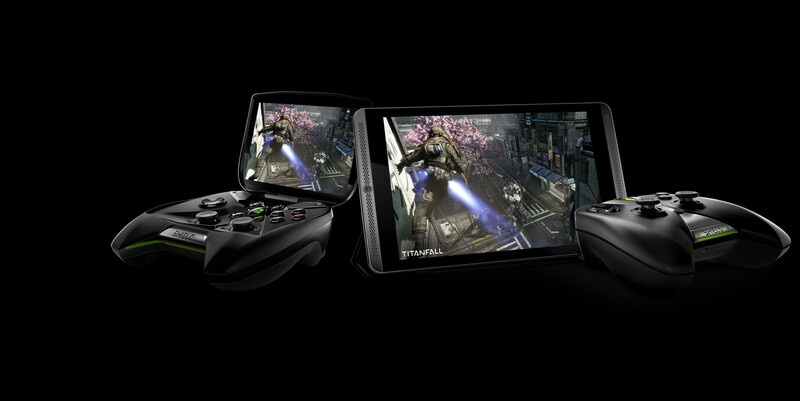 NVIDIA officially unveiled the Shield tablet, a slate for gamers with a 8-inch full HD display that is powered by the new Tegra K1 SoC and comes loaded with Android KitKat. 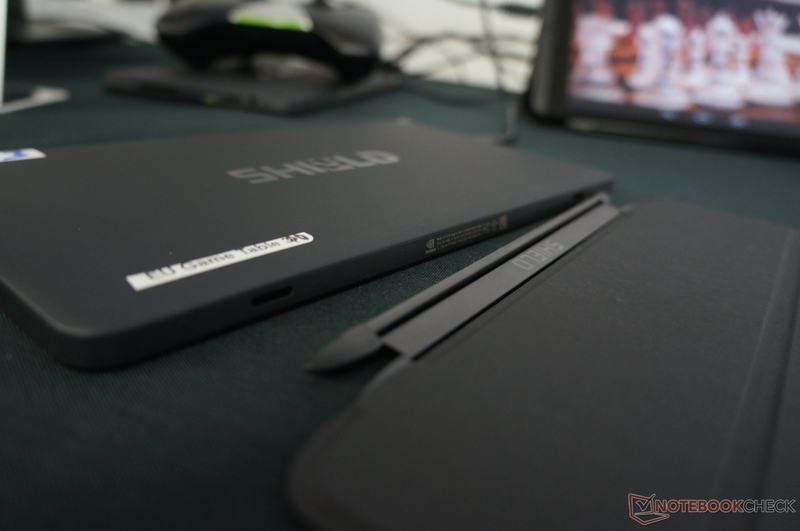 The Shield Tablet is no replacement for the NVIDIA Shield handheld console, but more or less the successor of the Tegra Note 7. 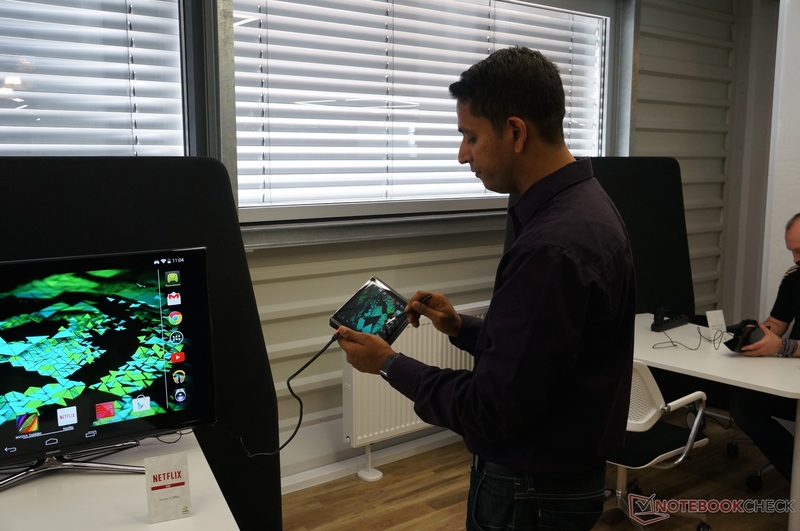 Instead of the Tegra 4, the Shield tablet gets the new Tegra K1 quad-core SoC with integrated 192 core Kepler graphics card. 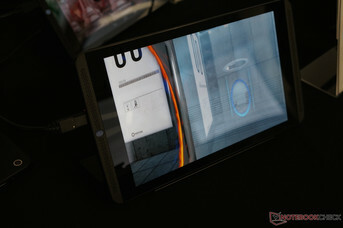 The build quality has improved as the whole tablet is now a gaming device aimed at the higher end market. The 8-inch 1920 x 1200 pixels screen offers more real estate and a finer resolution than the Note 7. Furthermore, the front camera is now improved to 5 MP, up from 0.3 MP. 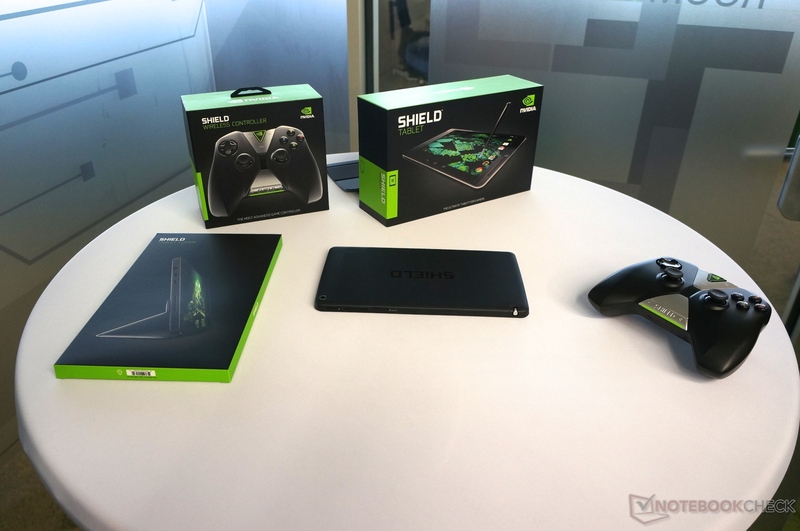 As the name suggests, the Shield Tablet also inherited the features of the NVIDIA Shield console, like GameStream or GRID to stream games from the PC or from the cloud to the tablet. 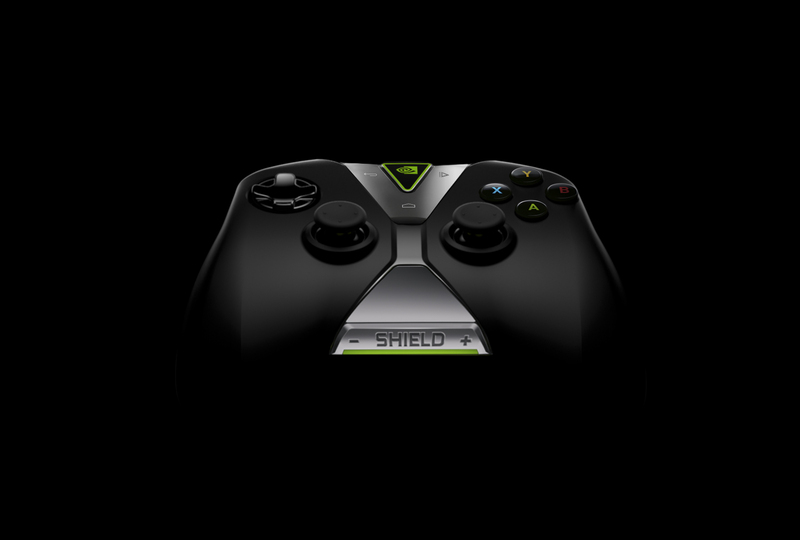 New features for the Shield line up include the ability to stream to Twitch via NVIDIA ShadowPlay. This is also the reason behind the upgrade of the front cam. 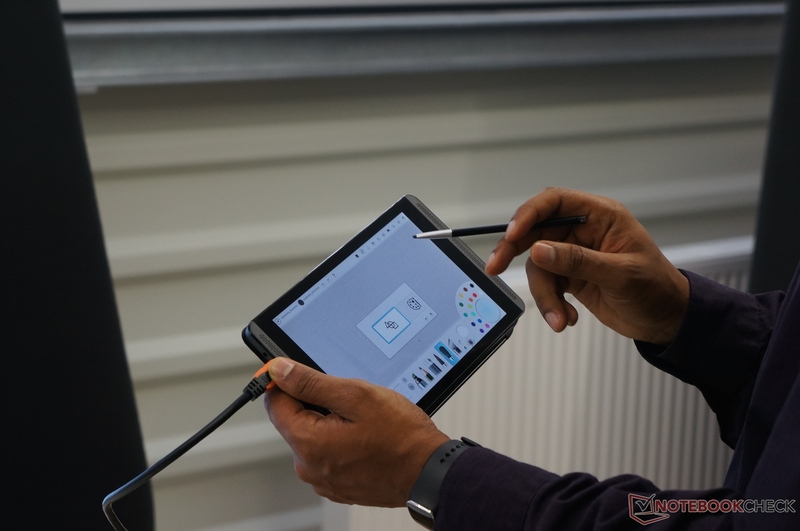 Thanks to the Tegra K1 SoC, the tablet now also supports Direct Stylus 2 and ships with a stylus that can be stowed in the tablet. A new drawing app called NVIDIA Dabbler is also preinstalled for realistic watercolor and 3D oil paintings. 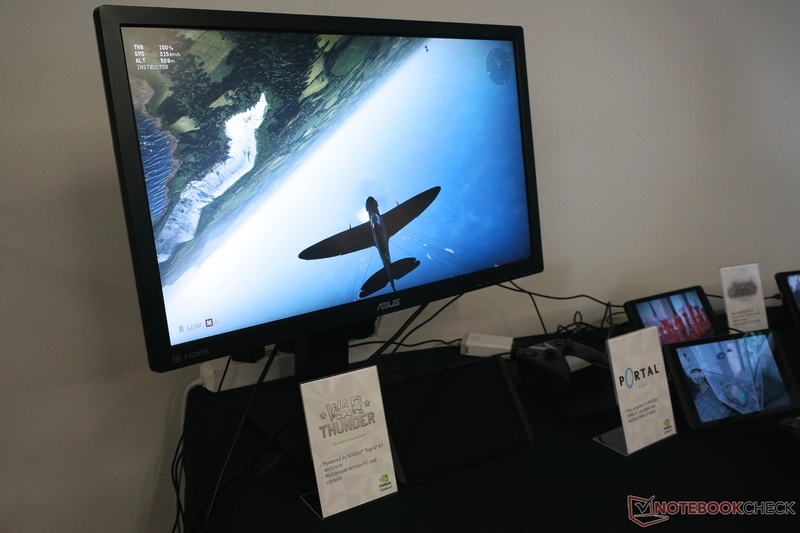 As the Tegra K1 is OpenGL 4.4 capable, Nvidia states that it is relatively easy to port console and desktop games to devices powered by this chip. 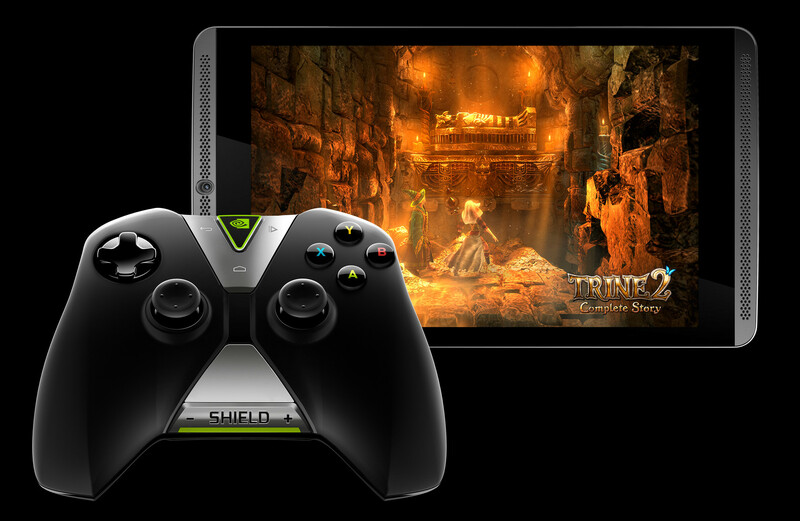 The Shield tablet is delivered with a full version of Trine 2 that was ported in only a few weeks according to Nvidia. Furthermore, there will be 11 optimized games for Tegra K1 at launch and some of them like Half Life 2 and Portal will get additional graphical features. 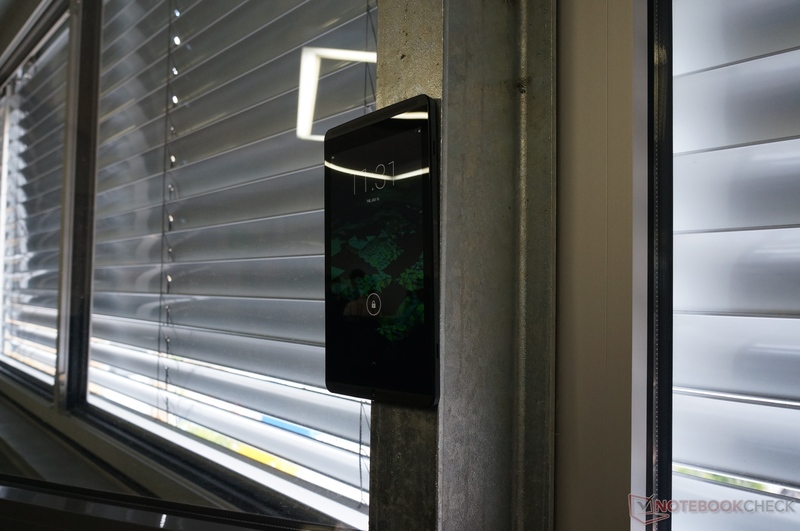 Nvidia also told us that the cooling system of the tablet is able to dissipate about twice the heat that conventional systems can handle. 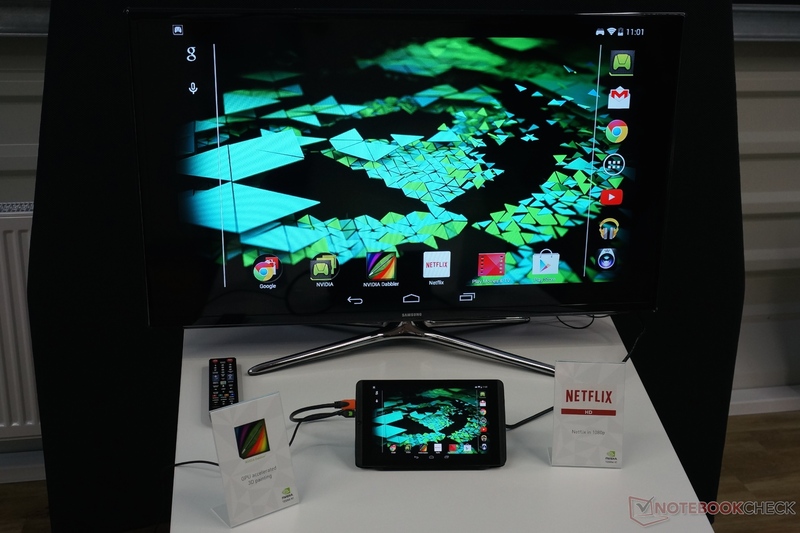 Therefore, the Tegra K1 used in the tablet will have a higher TDP than other tablet SoCs. The 20 WHr battery offers 10 hours of video playback and 2-3 hours of gaming, according to Nvidia. 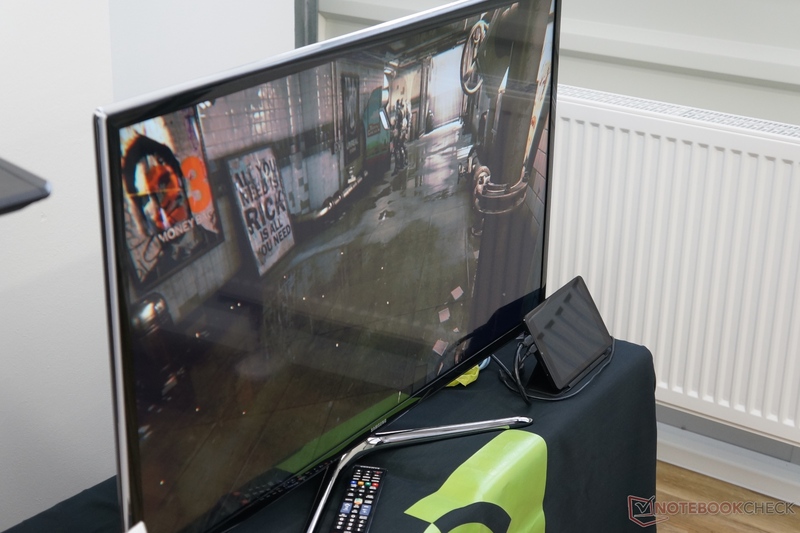 Nvidia provided a demo system for a short period of time and some benchmarks. 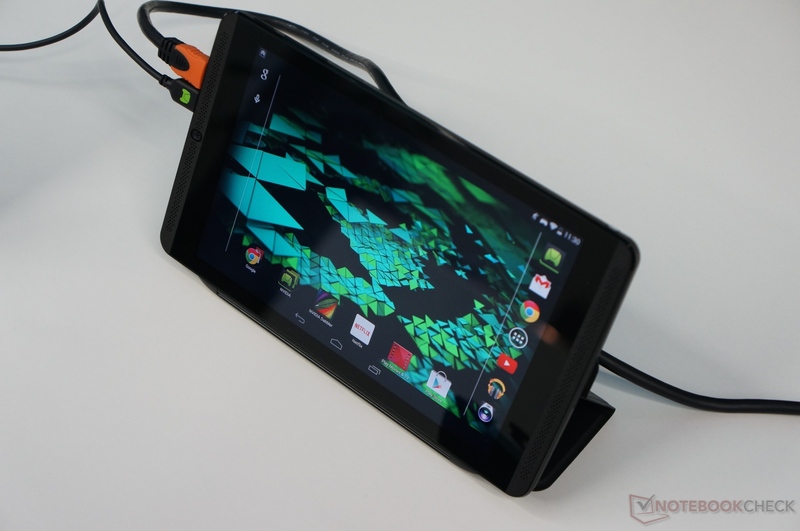 The (selected) tests showed impressive scores of the new Tegra K1. 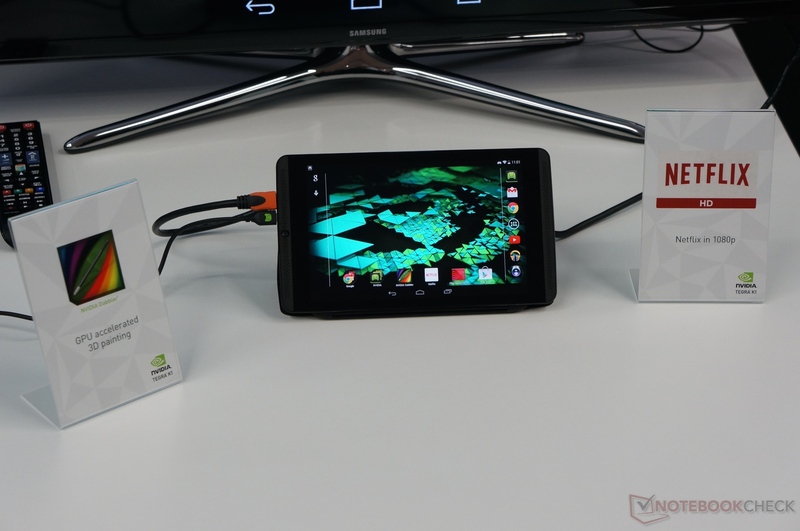 For example, the fast Snapdragon 801 in the LG G3 was left behind in every single test. The GPU performance looks way ahead of the current competition and even the Snapdragon 805 should be left behind. The CPU performance is also very good and ahead of the current high end devices. See the charts below for more details. A novelty is the optional wireless gaming controller for the tablet. 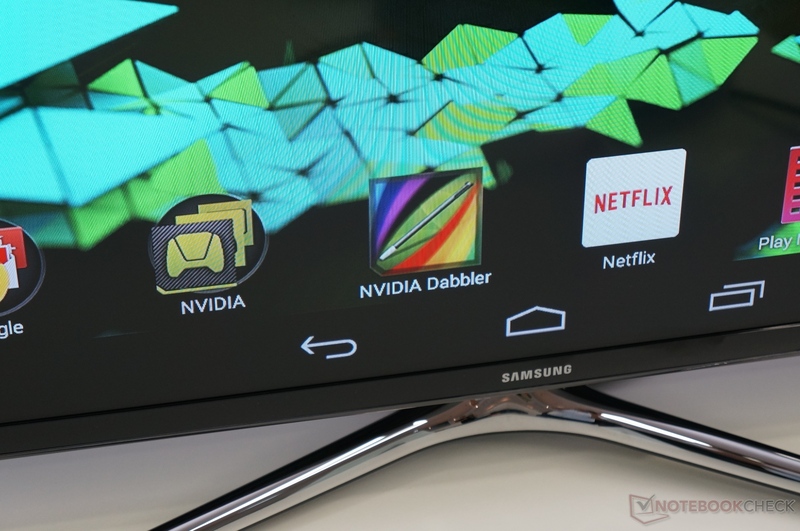 Nvidia wanted to create a high quality controller that suits both Android gaming and streamed PC games. It can be used to conect over a proprietary Wi-Fi direct connection or wired using a micro USB cable. 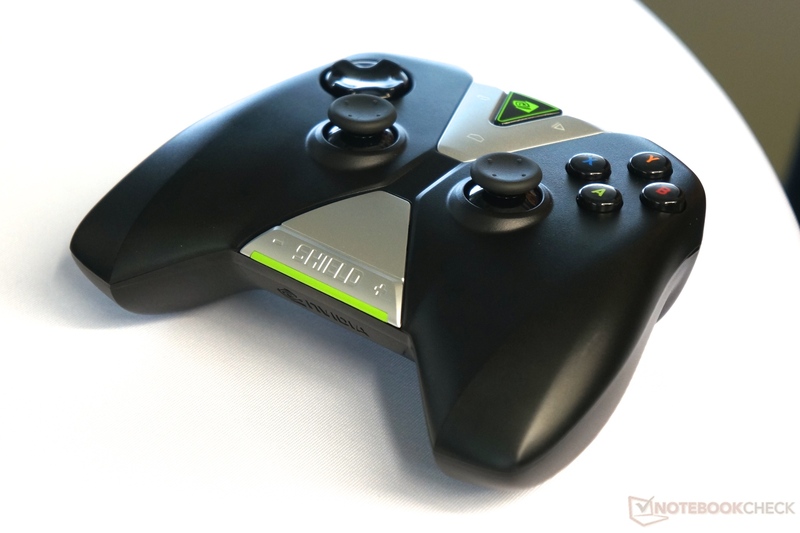 The Shield wireless controller integrates a microphone and headphones port and a small triangle-shaped touchpad. 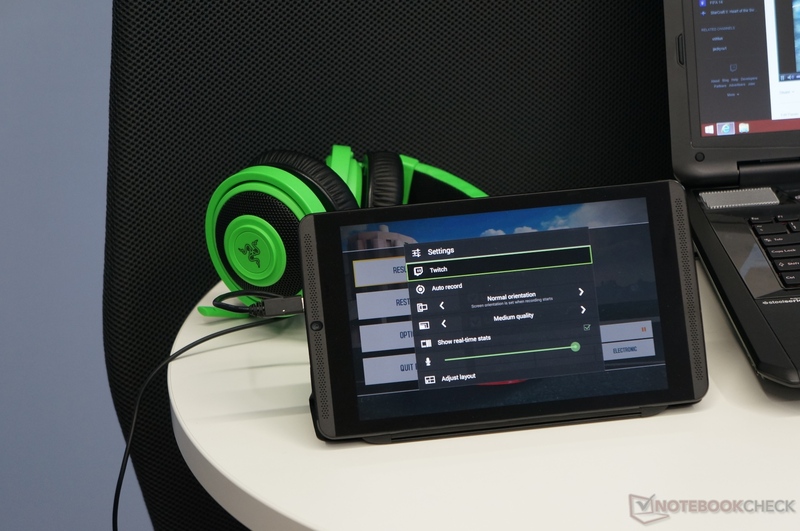 Nvidia opted for Wi-Fi connectivity to support more controllers and have enough bandwidth for audio streaming. 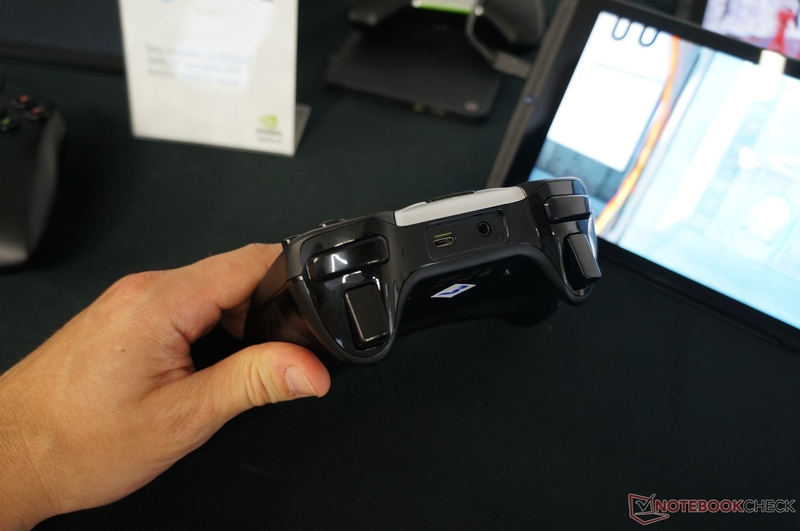 The integrated battery should offer 40 hours of gaming to the controller on a single charge. 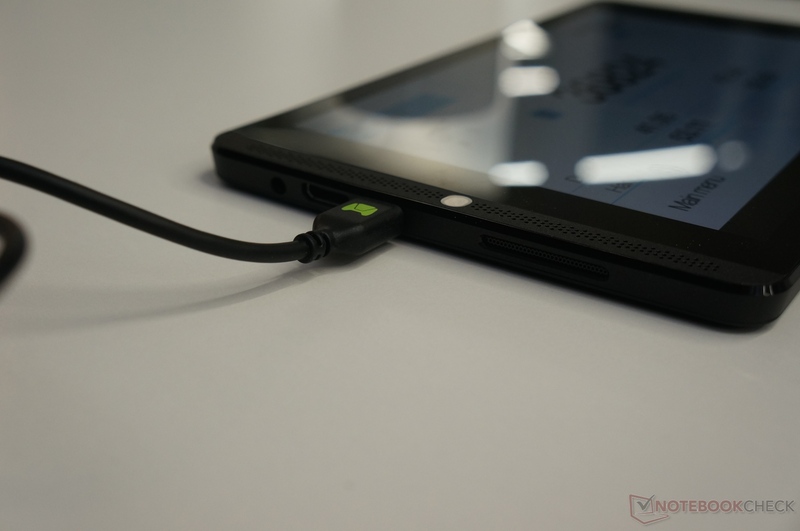 The tablet should should be available in US and Canada towards the end of July. Europe will follow in mid August and more regions are planned for fall 2014. 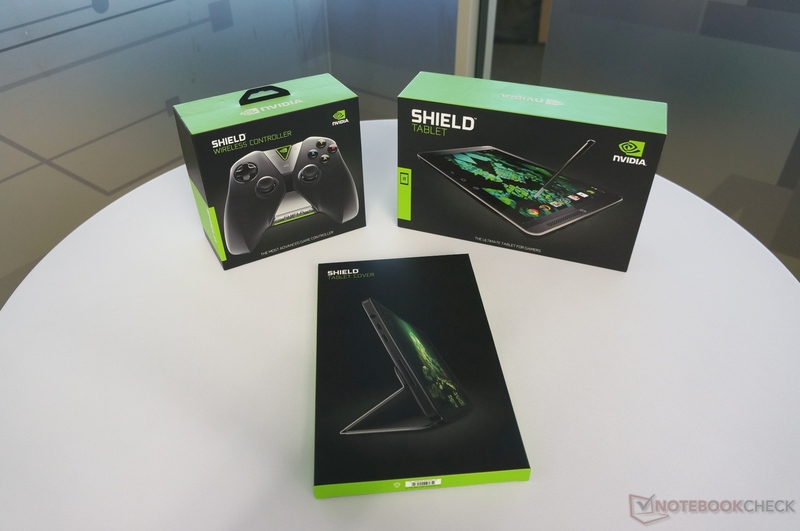 SANTA CLARA, Calif.—July 22, 2014—NVIDIA today launched the newest members of the NVIDIA® SHIELD TM family — the SHIELD tablet and the SHIELD wireless controller. 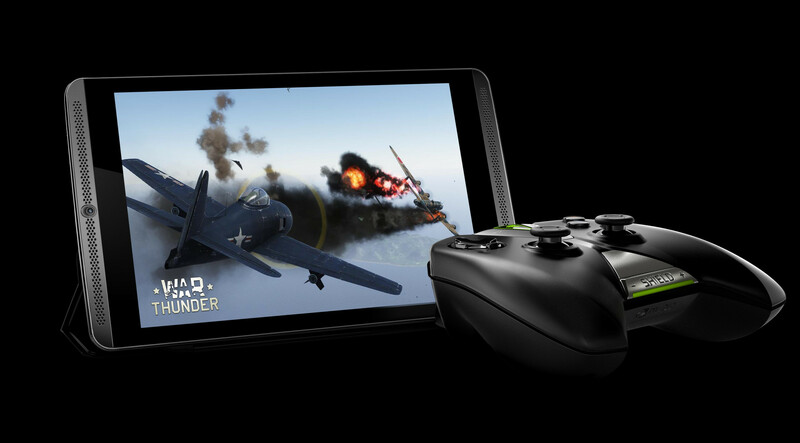 Designed and built by NVIDIA, SHIELD Tablet is the ultimate tablet for gamers, delivering unparalleled gaming performance made possible by the world’s most powerful mobile processor, the NVIDIA Tegra® K1, and frequent software updates that bring new features and improved performance. The SHIELD tablet is built for gaming, featuring a bright, 8-inch, full HD display, booming front- facing speakers with rich sound, and an optional cover that both protects the screen and can be used as a stand to support the device. 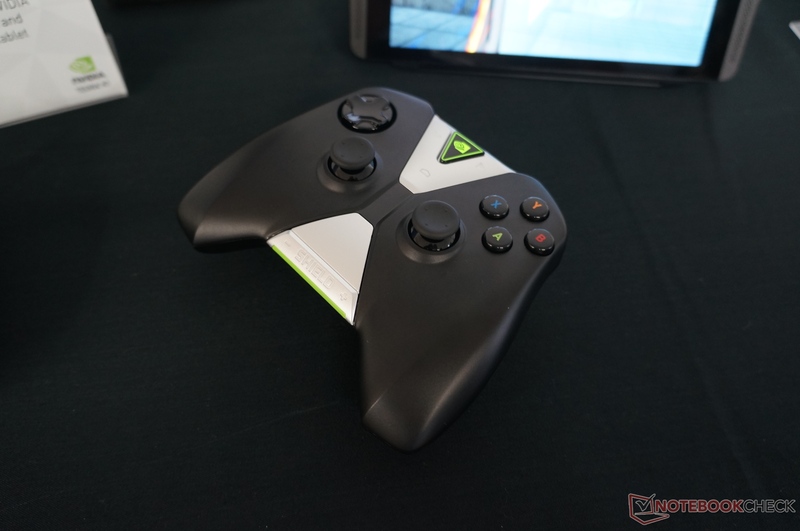 To transform the tablet form factor into a serious gaming machine, NVIDIA has built the SHIELD wireless controller, which provides the precision, low latency and ergonomics that serious gamers demand. 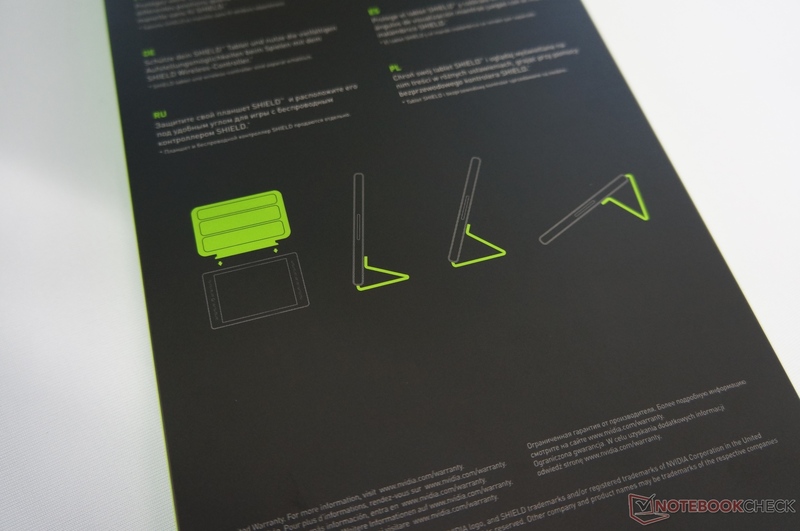 The SHIELD tablet offers optional LTE for gamers to take their online gaming anywhere. And to ensure the device delivers the richest gaming experience, NVIDIA will provide regular, over-the- air software updates. 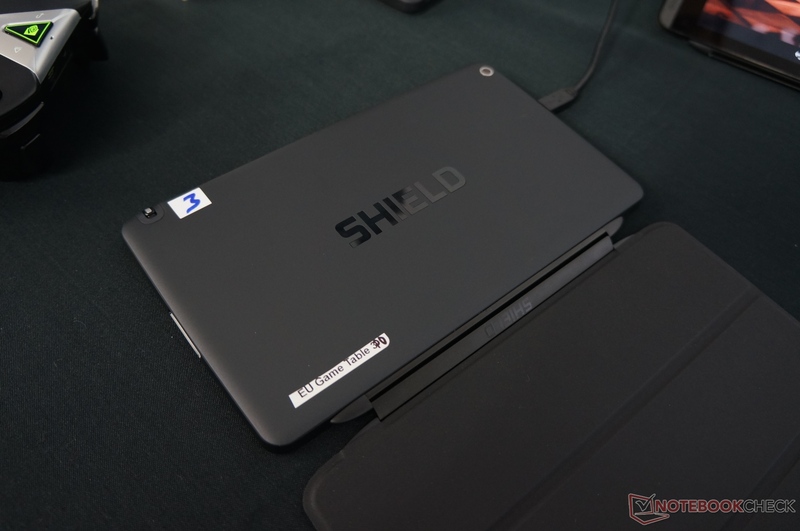 As with the original member of the SHIELD family, the original SHIELD portable, the SHIELD tablet is the portal to compelling content that gamers will love, including over 400 SHIELD- optimized Android games, as well as the ability to wirelessly stream users’ PC gaming libraries. 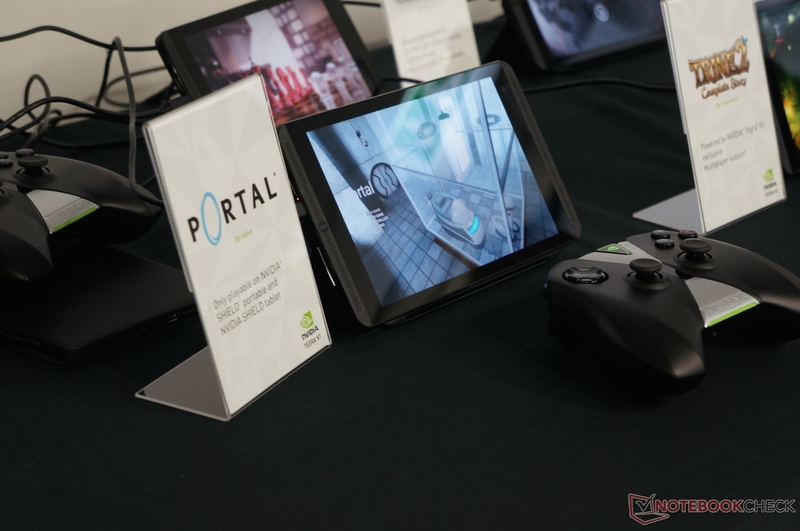 The SHIELD tablet’s gaming capabilities are powered by its Tegra K1 mobile processor, with a 192-core GPU that taps into the same NVIDIA KeplerTM architecture that drives the most extreme gaming PCs. The SHIELD wireless controller is the most advanced device of its kind, allowing gamers to boost performance with ultra-low latency Wi-Fi Direct connectivity with up to four wireless controllers to game along with friends. It is the first precision controller designed for both PC gaming and Android, and features a gaming headset jack, built-in touch pad, volume control and revolutionary voice command and search. 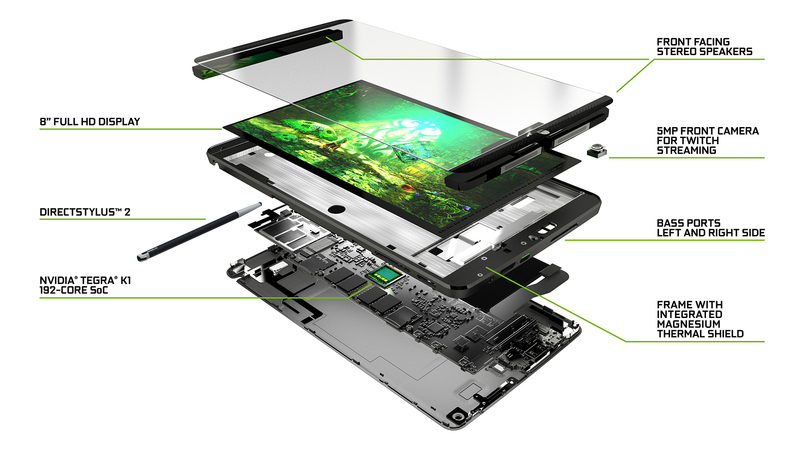 A stylus allows tablet experiences that touch-only tablets can’t match, and the NVIDIA DirectStylusTM 2 technology on the SHIELD tablet is a game-changer. 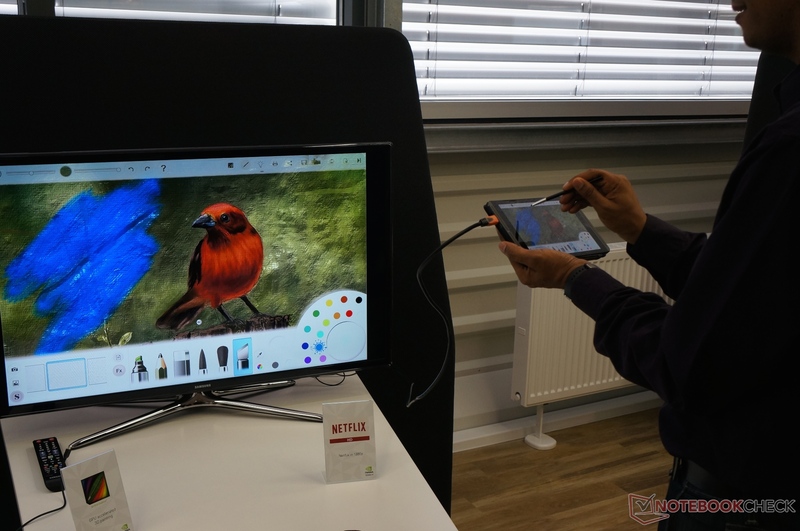 Twice as responsive as its predecessor, DirectStylus 2 technology enables the first GPU-accelerated 3D painting experience, a new capability where pigment and paint mix and bleed physically, in real time, and the palette is naturally illuminated in 3D as the user adjusts the light source. 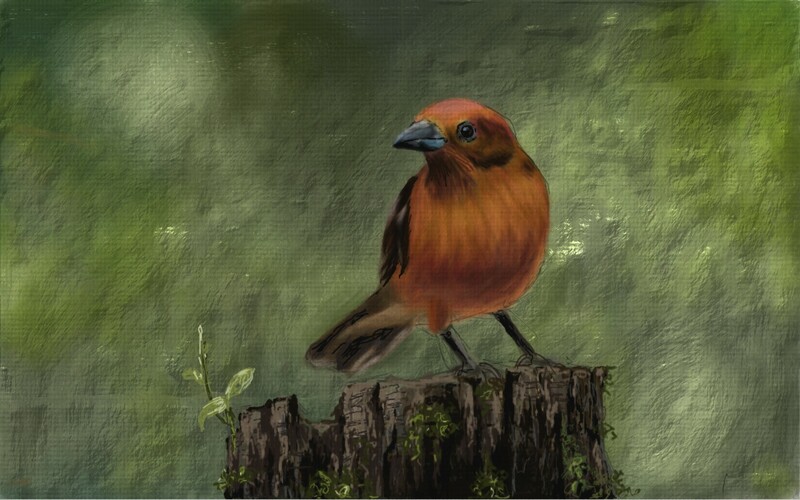 Aspiring artists can use DirectStylus 2 to capture the attitude of every stroke on the SHIELD tablet, take notes with the integrated apps and handwriting recognition, or get creative with the NVIDIA DabblerTM app’s hyper-realistic watercolor and 3D Paint oil painting. Ensuring that every game, song and podcast sounds incredibly crisp and clear, NVIDIA PureAudioTM technology delivers dynamic sound through front-facing stereo speakers and a dual-ported bass-reflex enclosure. game titles, along with Google Play, where gamers can download thousands of apps, including Netflix, Pandora and more. 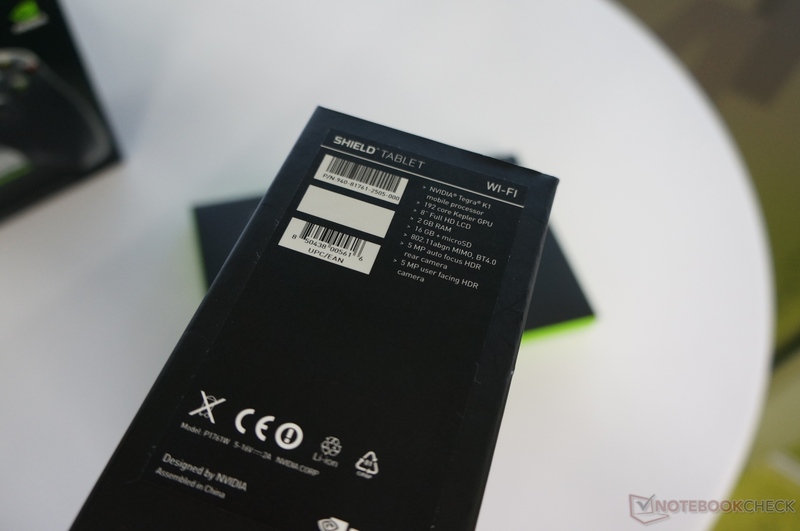 The SHIELD tablet comes with either Wi-Fi connectivity, or Wi-Fi and LTE. 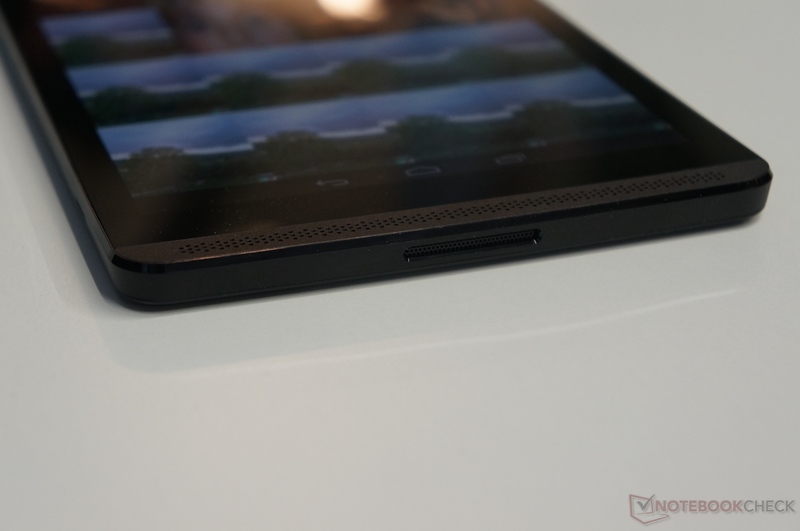 It’s available in 16- and 32GB, with MicroSD (up to 128GB), starting at $299. The SHIELD wireless controller retails for $59. The SHIELD tablet cover retails for $39. The SHIELD tablet, wireless controller and tablet cover are now available for preorder in the United States, Canada and select European countries. Preorders in the United States are available at shield.nvidia.com, Amazon, Best Buy, Fry’s Electronics, GameStop, Micro Center, Newegg and Tiger Direct, and in Canada at Canada Computers, Memory Express, NCIX and ThinkGeek. More information, including product specifications, is available at shield.nvidia.com.